A fundraising cricket match in memory of a pair of tragic climbing brothers was a major hit with locals. Communities across the Highlands have been left scrambling to foot bills of thousands of pounds for Christmas lights in town and village centres, it has emerged. Police in Nairn are appealing for witnesses after a man was seen behaving indecently at the town's East Beach. A 50-year-old Nairn man abducted his partner after questioning her about being faithful to him. Handbrake turns on a Highland beach caused a motorist to overturn his car which then burst into flames. Organisers of Nairn’s first food and drink festival have hailed it a success. The Taste of Nairn festival showcased some of the finest treats on offer from more than 40 local businesses, and also included the coveted World Tattie Scone Championships. The three-day event could now become an annual fixture on the town’s calendar. Hollywood star Tilda Swinton has won a battle to refurbish her Highland home and build a wet room for her dogs. A man who was released early from a 20-month prison sentence for possessing thousands of indecent images of children gave in to his “desires and urges” to download more after he was liberated. An amateur photographer has told how he captured a once-in-a-lifetime shot of a red squirrel leaping through the air in the Scottish Highlands. Police have confirmed that missing Highland teenager Lucy Lansdell has been traced. Passengers wanting to catch a train from a Highland station are being left stranded due to a signalling convention on the railway. Nairn residents are "delighted" as work gets under way on a town centre pedestrian crossing with lights that will make it safer for people with disabilities or just a slower pace, to use the road. A young farmer from Nairn scooped a fifth championship win at this week’s young farmers overwintered cattle show and sale at Thainstone and sold it for the top price, £2,200. A Nairn Academy pupil has become the first in Highland to pick up an illustrious Duke of Edinburgh award – one of only eight people across the country to do so. A husband and wife are to open a campsite with room for 60 pitches on the outskirts of Nairn - providing a tourism and economic boost to the area. A fundraising cricket match is to take place next month in memory of two brothers tragically killed last year in the Highlands. Three fire crews are currently tackling a domestic fire in Nairn this morning after a garage was reportedly ablaze. Nairn River community councillors are up in arms after their community council was abruptly shut down by Highland Council. Two Highland supermarkets and a citizens advice bureau have agreed to become Keep Safe locations. A 52-year-old Nairn man phoned the emergency services to complain that no taxi would take him home. 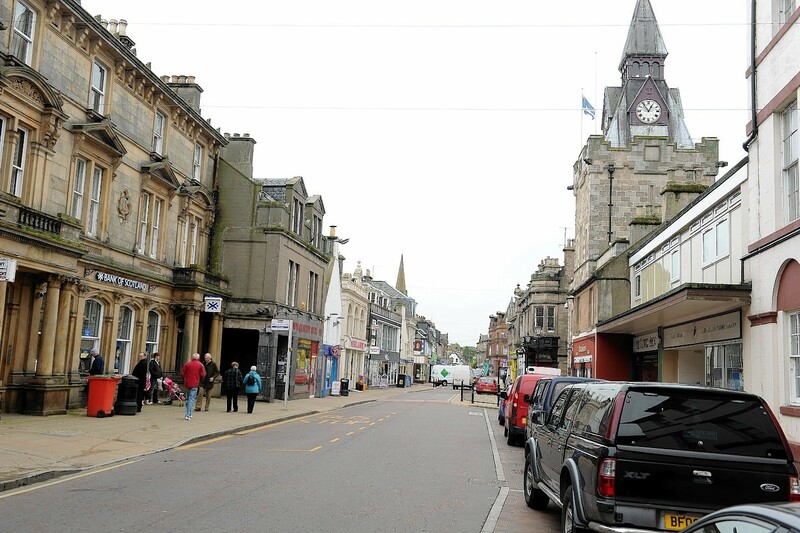 A Nairn businessman is spearheading a campaign against a Business Improvement District (Bid) for the Highland town. A Nairn widow has called for better communication after council workers tried to remove precious ornaments and flowers from gravesides. A man has been charged followed indecent behaviour at a Highland beach. A mystery discovery on the Nairn coastline could be the remains of a 19th century cargo vessel - and the Press and Journal reported the shipwreck. Police in Nairn are appealing for information after a quantity of jewellery was stolen from a house. Police in the Highlands are making urgent inquiries to trace Lucy Lansdell who was reported missing this morning. Work on a new multi-million pound crossing over the River Nairn is beginning to take shape, six months after construction began. Members of Nairn Sailing Club have helped to dig up the remains of a mystery ship wreck. Nairn police have launched an appeal for information after a man behaved indecently towards a woman at the town's West Beach. Jewellery and alcohol have been stolen from an unoccupied property in Nairn. A Moray wildlife safari company has expanded into the Highlands.